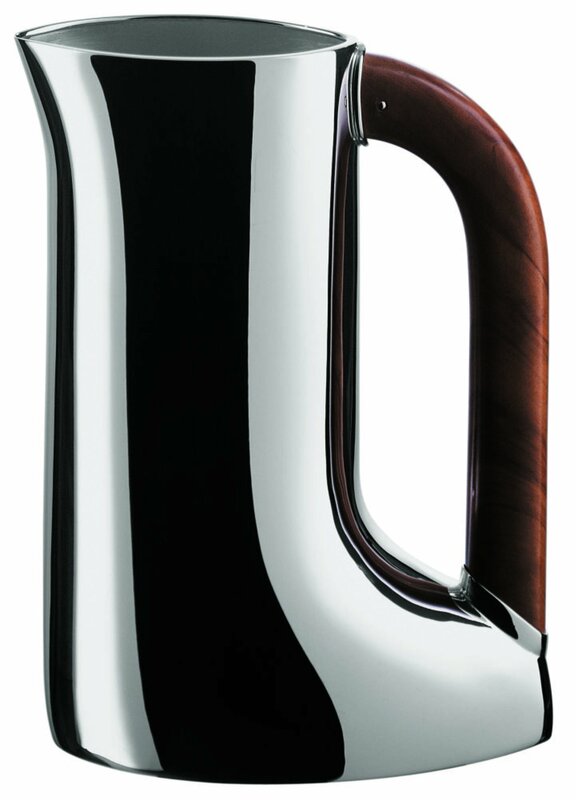 H2o silver water jug by De Vecchi - Designed by Gabriele De Vecchi in 1975, the H²O silver water jug is the forerunner to his Minimal range of the 90s, paying tribute to the highly reflective properties of curved silver surfaces. The form of this jug is rectangular but the important features - the olive wood handle, the spout and the strong base - break and soften its outline. An example of the H²O jug is on permanent display at a museum in Ghent.